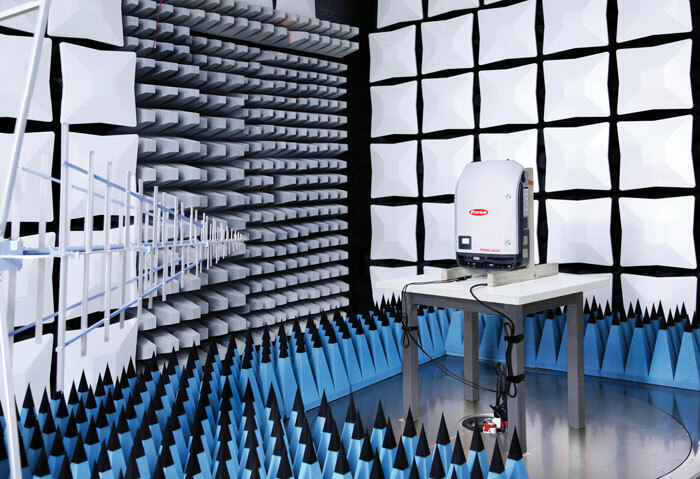 Fronius conducts extensive testing during the development stages of a product as well as during the production process. There’s that joke about smartphones that’s kind of a cliché now: Why are they called “phones” still? The phone part is like 1 percent of its usefulness. Inverters are kind of trending in that direction, too. Defining an inverter as merely a device that converts direct current from a solar panel into alternating current is now limiting. Inverter manufacturers have driven innovation past DC-to-AC functionality to create multifaceted hubs that determine the success of a system and are engineered for additional responsibilities such as grid interaction, safety and monitoring. 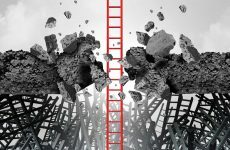 Some of these performance changes are responses to changing utility connection requirements, which has provided the largest technical challenges for inverters, all while standards and codes (UL, NEC or IEC) update at a feverish pace. But many of these advancements are just examples of innovation at its finest. On a recent SEPA webinar, the panel mentioned the case study of Hawaii, which had an issue with frequency control — an issue that started to cause blackouts. But a significant majority of the solar arrays put on the grid over the past few years were installed with Enphase microinverters with frequency ride control settings. So, a vast majority of the systems received a software update all at once (about 800,000), which had a dramatic effect on grid stability. This story from Hawaii illustrates the very real power inverters have in driving the industry forward. “Hawaiian Electric Companies (HECO) Rule 14H and California’s Rule 21 are driving inverters to need to incorporate more smart grid functionality,” says Teff Reed, senior director of microinverter systems, Enphase Energy. The company addressed these needs with the release of its S-Series inverters. 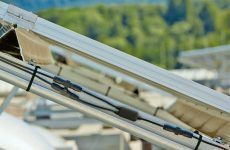 SolarEdge and Fronius also have HECO and California Rule 21-compliant products. “Inverters are now interacting with the grid to enable distributed generation on a large scale,” says Tristan Kreager, director of Solar Energy for Fronius. Princeton Power is moving toward capabilities for both bi-directional operation and off-grid operation, which will add hardware components but also significant new software features. SMA’s Sunny Boy, Sunny Tripower and Sunny Central inverters offer a full suite of grid management features that meet even the strictest regulatory requirements. “Now, the most technologically advanced inverters for the residential, commercial and utility-scale sectors are utility compliant and can operate in any market, including Hawaii and California,” says Brad Dore, director of marketing for SMA America. OutBack Power has developed an entire lineup of products and system features that both play with the grid and storage in different ways, a mix of integrating grid-tied economics with off-grid independence. With OutBack’s FlexTime programming, for example, users can master time-of-use variables, shifting to stored electricity or renewables when it makes the most economic sense. On the larger scale, Eaton’s utility inverters have included numerous grid integration features since they were launched two years ago. Because these inverters were based on a wind inverter platform, the solutions are engineered with a number of intelligent features, such as volt-ampere (VAR) support, power factor support and low voltage ride through (LVRT). Princeton Power offers battery energy storage integration, on-grid and off-grid operation for backup and island applications, built-in schedulers for peak demand reduction and volt/VAR regulation as well. 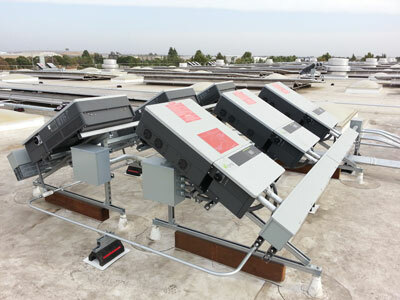 CPS Americas offers a bundle including the roof-top 15 degree inverter rack. Grid functionality is just one component amid a list of conveniences, enhancements and other game-changing innovations being bundled into today’s inverters. For example, many inverters now have a revenue-grade metering integration. Storage is also a huge new bundling component (which we will get to), but its inclusion into some inverter solutions has brought along other cost efficiencies. For its new residential solar-plus-storage product, Tabuchi worked to place all of the components into a single unit while ensuring they work together seamlessly. The idea here was to save time and money on the installation and reduce the number of service calls in the long run. OutBack Power has an entire line of pre-assembled, wired and configured systems called FLEXpower, which combine the inverter/charge, charge controller, programmer and other necessary balance of system components in a single easy to install package. Solutions like this can cut installation times in half. In September 2015, Yaskawa – Solectria Solar introduced its Decentralized MW Solution that combines its three-phase 1000 VDC inverters with low-voltage switchgear (AC panelboards, switchboards, switches, transformers) with monitoring. This saves a customer from having to source various components and question whether or not their system is compatible with the products. 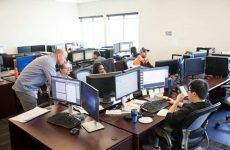 In addition, Solectria is developing features that will help automate the inverter commissioning process. The Fronius Primo eliminates the need for an additional socket or branch circuit meter, which cuts the cost for revenue grade metering (RGM) in half. “Furthermore, inverters acquired more communication capabilities, like integrated SunSpec Modbus, Wi-Fi and mobile apps to easily monitor any system,” Kreager says. Some inverter manufacturers now include a cellular modem, which removes the need for the installer to work with a building’s Internet and the need to purchase a separate cellular modem. CPS Americas provides a bundle including the roof-top 15 degree rack to host the inverter. For utility-scale, Eaton looks at both total cost of installation and ownership. So, stuff like reduced shipping costs, savings on the size of concrete pads or size of the rental equipment needed to complete a job. The company also removes fans from the equation, as they are one of the more unreliable parts of a system. Click 2 for a ton more info on downsizing systems and incorporating storage.